Upstream and downstream boundaries of a river reach can be connected to a reservoir, lake, or other types of large water bodies. These water bodies are called storage areas in HEC-RAS. 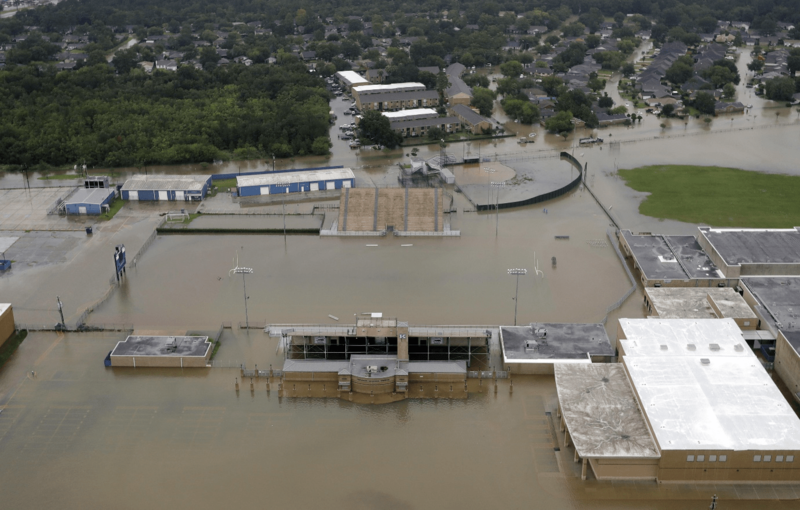 In addition, off-channel ponding areas that exchange water with the adjacent river can be modeled as storage areas. 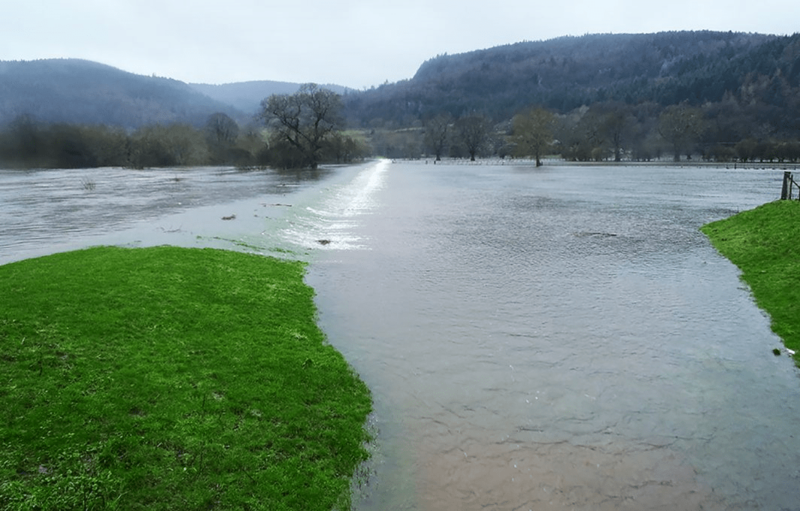 A lateral structure is required to exchange water between the river and the storage area. 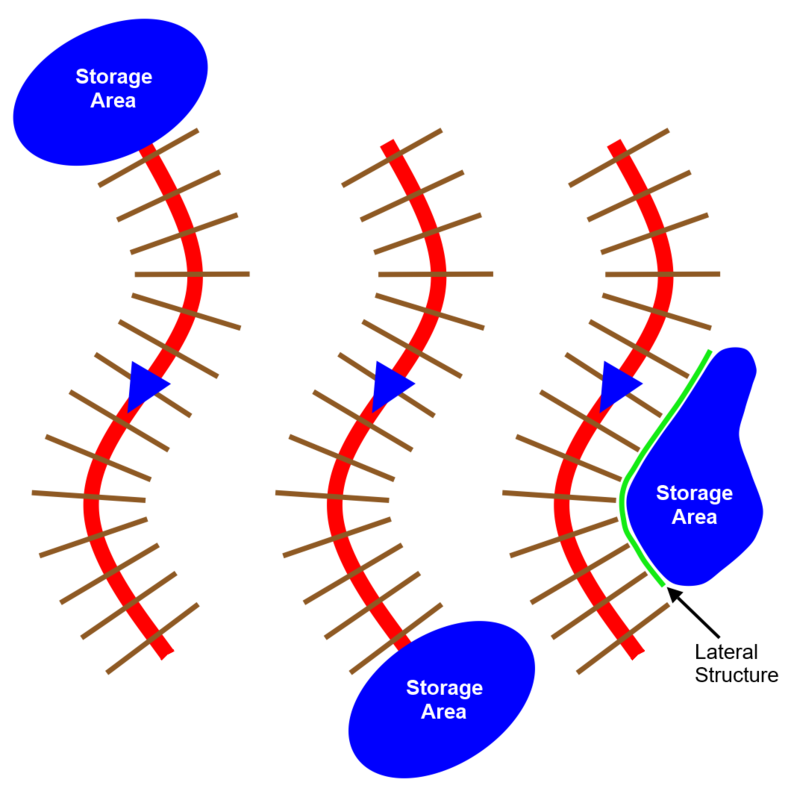 The following diagram represents the three different situations where a storage area can be connected to a river reach. 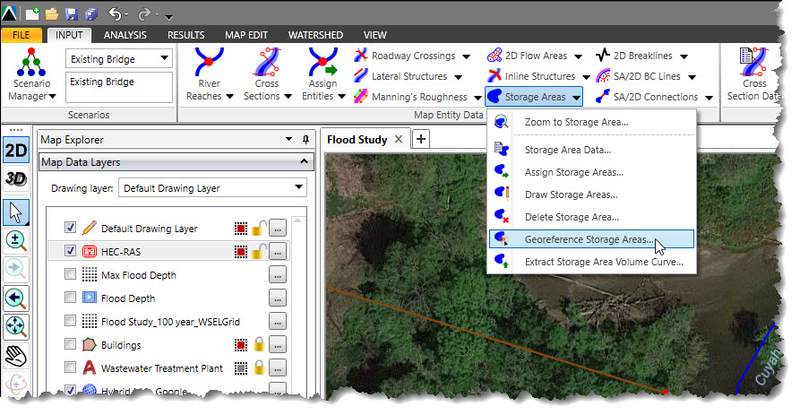 Existing storage areas can also be georeferenced to a more accurate outline representation of the water body assigned. From the Input ribbon menu, click the Storage Areas menu item and choose the Draw Storage Areas command. The Draw Storage Areas dialog box will be displayed. Click the [Draw] button adjacent to the Storage area polygon field. Use the Create curvilinear polygon checkbox option to make a smooth outline for the drawn polygon. The Draw Storage Areas dialog box will temporarily disappear, and a prompt will be displayed on the status line informing what to do next. Draw the storage area on the Map View, and then right-click and choose Done from the displayed context menu. The Draw Storage Areas dialog box will reappear with the storage area drawn. Provide a name for the storage area. Click on the [Apply] button and the storage area will be created. From the Input ribbon menu, click the Storage Areas menu item and choose the Assign Storage Areas command. The Assign Storage Areas dialog box will be displayed. 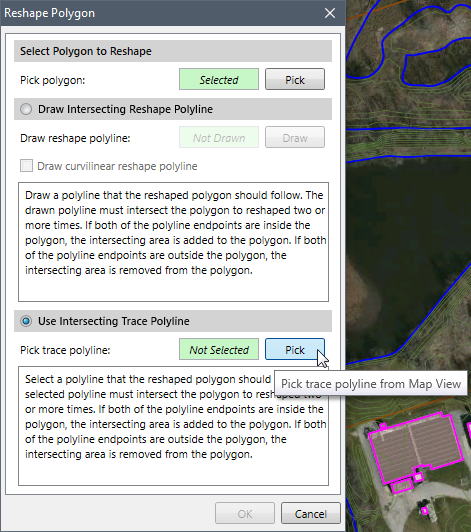 Click the [Pick] button adjacent to the Storage area polyline/polygon field. The Assign Storage Areas dialog box will temporarily disappear, and a prompt will be displayed on the status line informing what to do next. 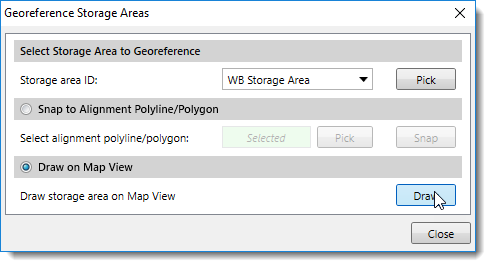 From the Map View, click on a polyline or polygon representing the storage area boundary. The Draw Storage Areas dialog box will reappear with the storage area selected. From the Input ribbon menu, click the Storage Areas menu item and choose the Georeference Storage Areas command. The Georeference Storage Areas dialog box will be displayed. Click the [Pick] button adjacent to the Storage area ID dropdown combo box. The Georeference Storage Areas dialog box will temporarily disappear, and a prompt will be displayed on the status line informing what to do next. Select the storage area on the Map View. 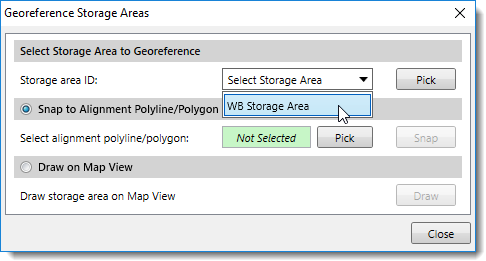 The Georeference Storage Areas dialog box will reappear with the storage area selected. Alternatively, choose the storage area from the dropdown combo box adjacent to the Storage area ID entry. Choose the Snap to Alignment Polyline/Polygonradio button option. The Georeference Storage Areas dialog box will temporarily disappear and a prompt will be displayed on the status line informing what to do next. 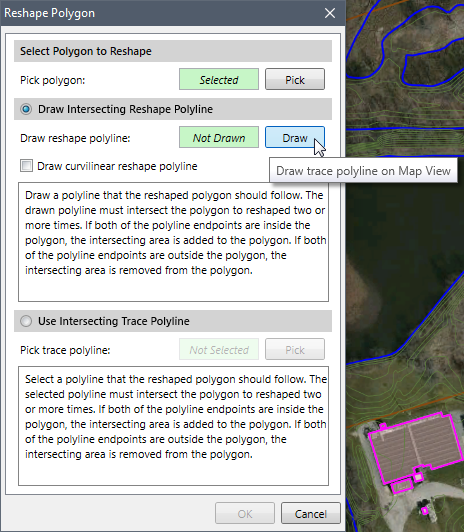 Select the alignment polyline or polygon on the Map View. The Georeference Storage Areas dialog box will reappear. The software will snap the storage area to the selected alignment polyline or polygon. Choose the Draw on Map View radio button option. 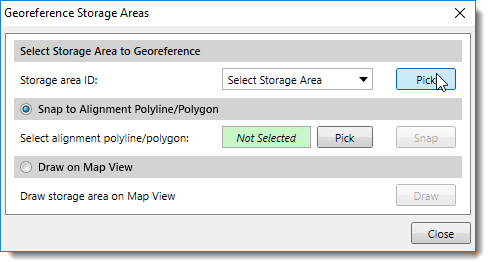 Draw the polygon on the Map View representing the storage area, and then right-click and choose Done from the displayed context menu. The software will automatically update the storage area accordingly. Existing storage area boundaries can be revised using the Reshape Polygon command. This section describes how to use this command. From the Map Edit ribbon menu, click the Reshape Polygon menu command. The Reshape Polygon dialog box will be displayed. Click the [Pick] button adjacent to the Pick polygon entry. The Reshape Polygon dialog box will temporarily disappear and a prompt will be displayed on the status line informing what to do next. Select the polygon on the Map View to reshape. The Reshape Polygon dialog box will reappear. 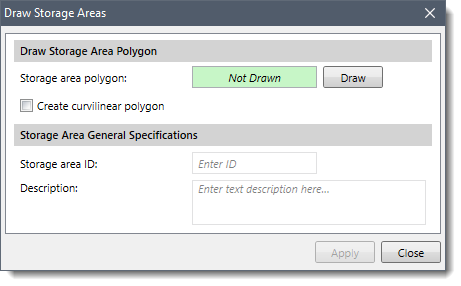 This option allows the user to draw a polyline on the Map View that the reshaped polygon should follow. The drawn polyline must intersect the polygon two or more times in order to reshape. If both polyline endpoints are inside the polygon, the intersecting area is added to the polygon. If both polyline endpoints are outside the polygon, the intersecting area is removed from the polygon. 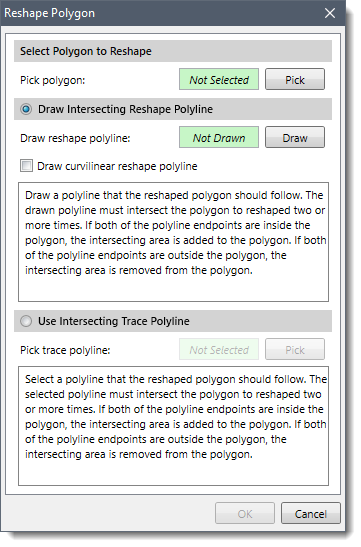 Choose the Draw Intersecting Reshape Polyline radio button option. Draw the reshape polyline on the Map View representing the change in shape for the selected polygon. Then, right-click and choose Done from the displayed context menu. The software will reshape the selected polygon and the dialog box will close. 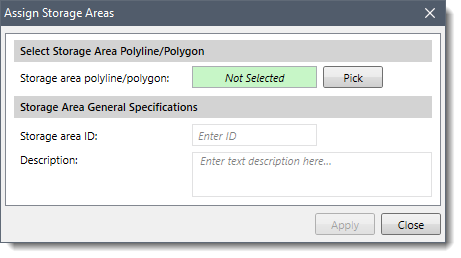 This option allows the user to select a polyline on the Map View that the reshaped polygon should follow. The selected polyline must intersect the polygon two or more times in order to reshape. If both polyline endpoints are inside the polygon, the intersecting area is added to the polygon. If both polyline endpoints are outside the polygon, the intersecting area is removed from the polygon. Choose the Use Intersecting Trace Polyline radio button option. Select the trace polyline on the Map View. Once the storage area boundary has been defined, the software will automatically compute the fixed area “footprint” that the storage area occupies. However, defining the storage area volume using this approach results in the treatment of the storage area as a “barrel” with vertical walls—where the storage area does not change with depth. For large storage areas with minimal depth, the fixed area approach is fine. For example, a flat agricultural overbank area can be defined this way. 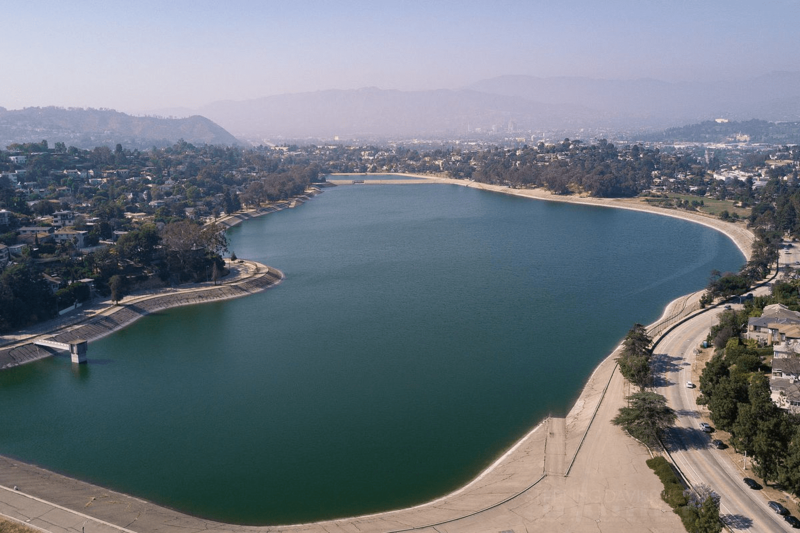 However, there are instances where a more accurate representation of the storage volume is required – such as for a reservoir or detention pond – where the storage area varies greatly with the change in elevation. Select the storage area on the Map View so it is highlighted. Then, right-click and choose Extract Storage Area Volume Curve from the displayed context menu. 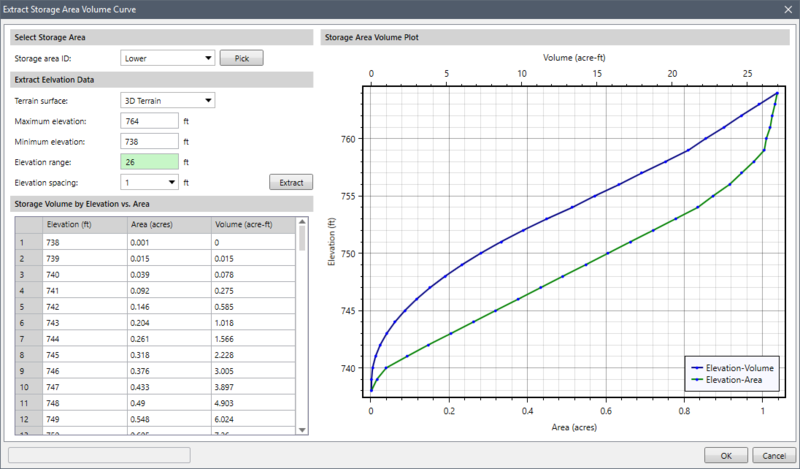 The Extract Storage Area Volume Curve dialog box will be displayed. From the Terrain surface dropdown combo box, select the layer containing the terrain surface to extract the storage area volume curve. 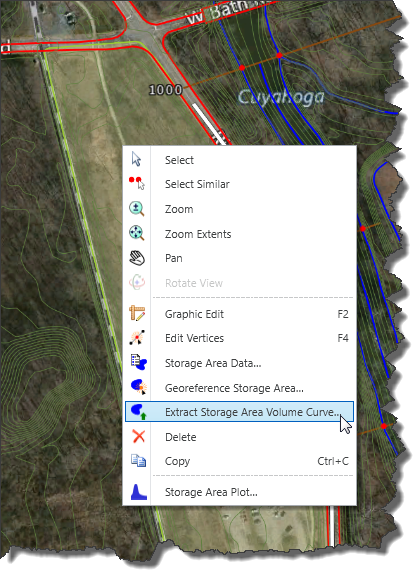 Click the [Extract] button and the software will process the selected storage area polygon region and determine the elevation versus area versus volume from the selected terrain surface.